In Stock. Sold by PSC Products and Fulfilled by Amazon. Gift-wrap available. 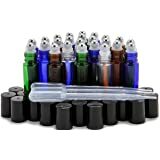 Amazon's Choice for "1/2 ounce dropper bottles"
24 - 15 ml, Assorted Colors (Clear, Amber, Cobalt Blue, Green) Glass Bottles, with Glass Droppers. 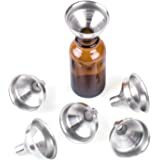 Sold by PSC Products and ships from Amazon Fulfillment. 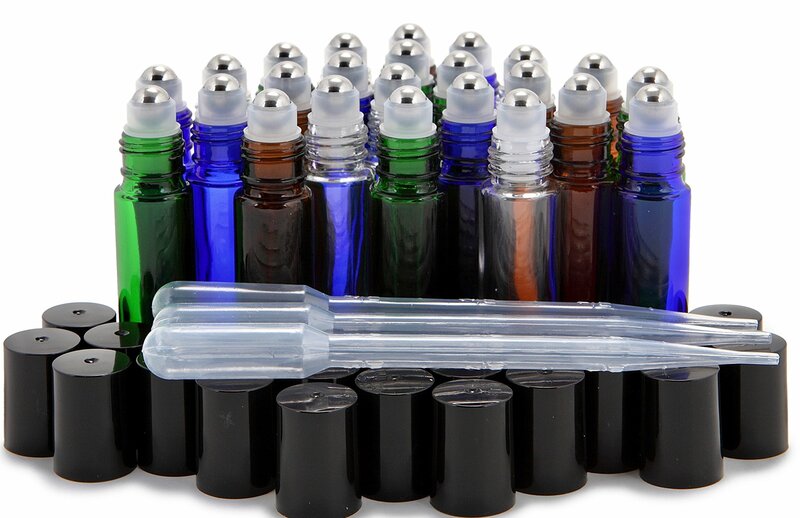 These high quality Assorted Colors (Clear, Amber, Cobalt Blue, Green) glass bottles with glass eye droppers, are perfect for storing your essential oils, perfumes or colognes. The convenient size makes it perfect for travel. Really nice! 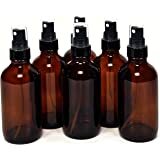 Came packaged well and are going to help my products travel easier and last a bit longer. 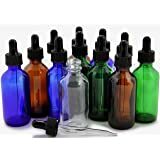 Good quality glass and dropper, just like you would expect nicer skincare products or essential oils to come packages in. 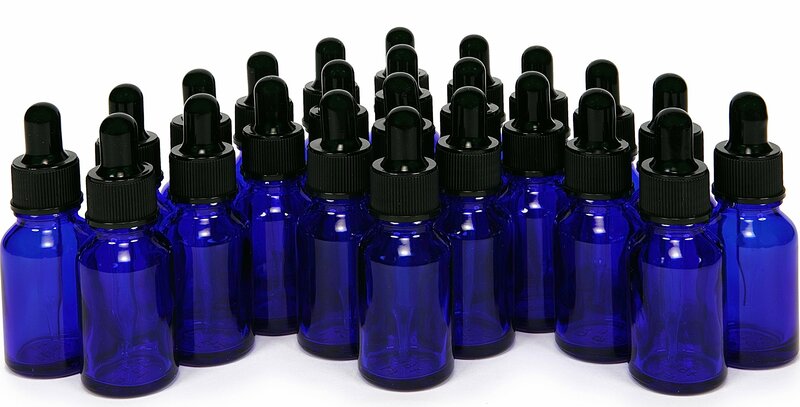 I use it mainly for skin care products that usually come in larger 1 ounce dropper bottles. 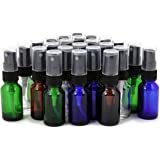 Now I can split them into two little bottles, and keep one hidden away until the other runs out instead exposing the whole product to air with each use. I might actually make it through all of my vitamin c serum before it oxidizes now. 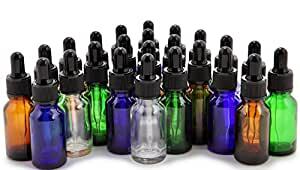 Really travel friendly too, I think they’re about as little as a dropper bottles can get before they don’t work well anymore. Out of hundreds of purchases this may be the highest quality item I've ever received through Amazon. 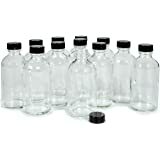 They arrived clean and intact, bottles and cap assemblies separately shrink-wrapped and securely boxed. 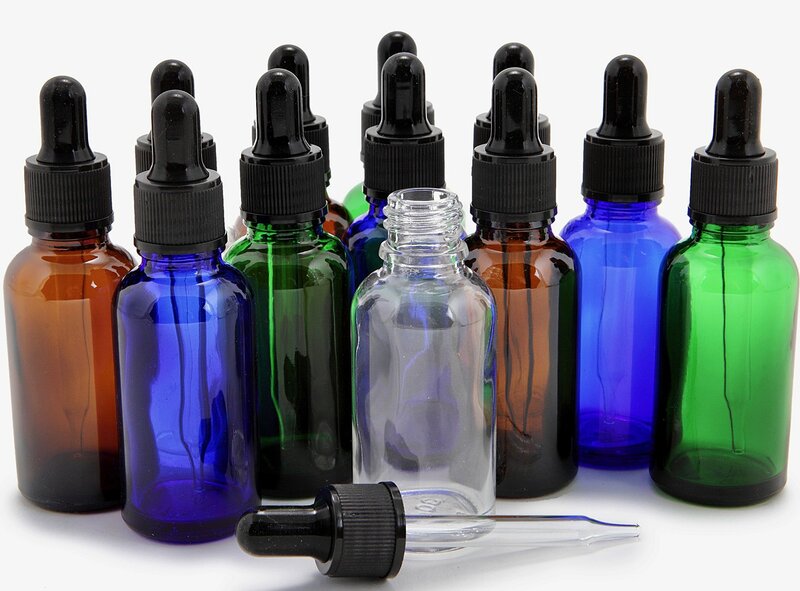 Every single bottle, cap and dropper are consistent in size, shape and color. 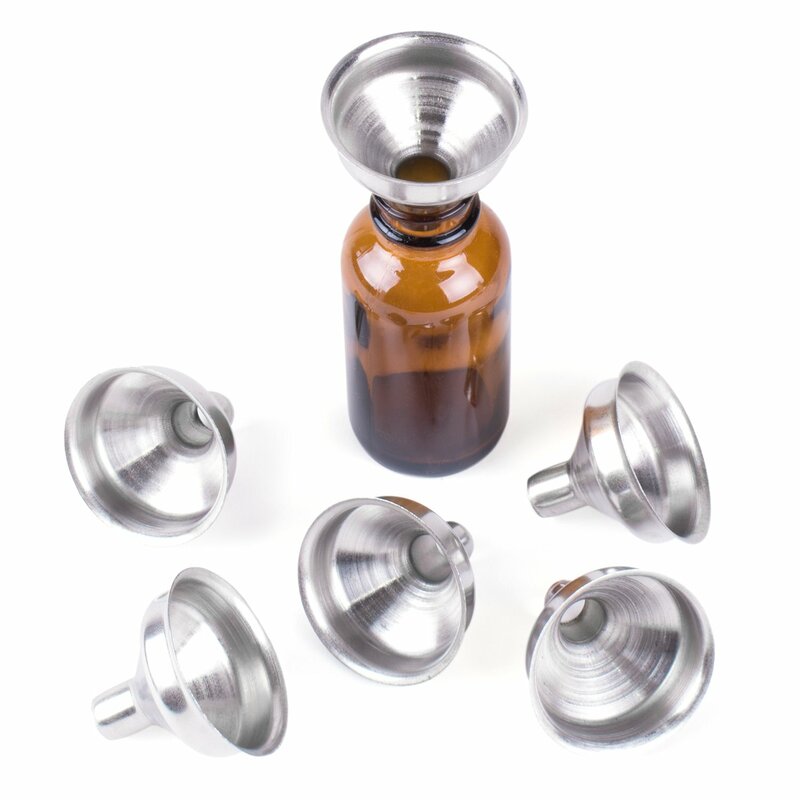 Cap and droppers assemble together snuggly and screw onto bottle smoothly and form a secure, airtight seal. 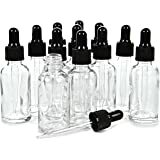 I purchased these for my custom mixed e-juices and they are perfect. 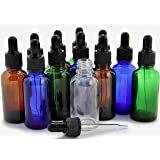 In fact, I plan on buying more; enough that I can also transfer all my mixed e-juices as well as my various flavor concentrates. 5.0 out of 5 starsGood quality and no leaks. Nice set of bottles. 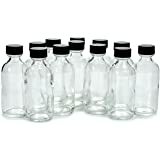 I would prefer not to have the clear ones included in the set as I use these bottles for essential oils. But they are good quality and no leaks. 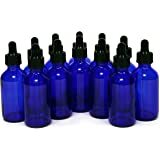 I have been using these for tinctures and serums, they are very good quality and I'm extremely satisfied.